Next Generation Workforce Management Software. 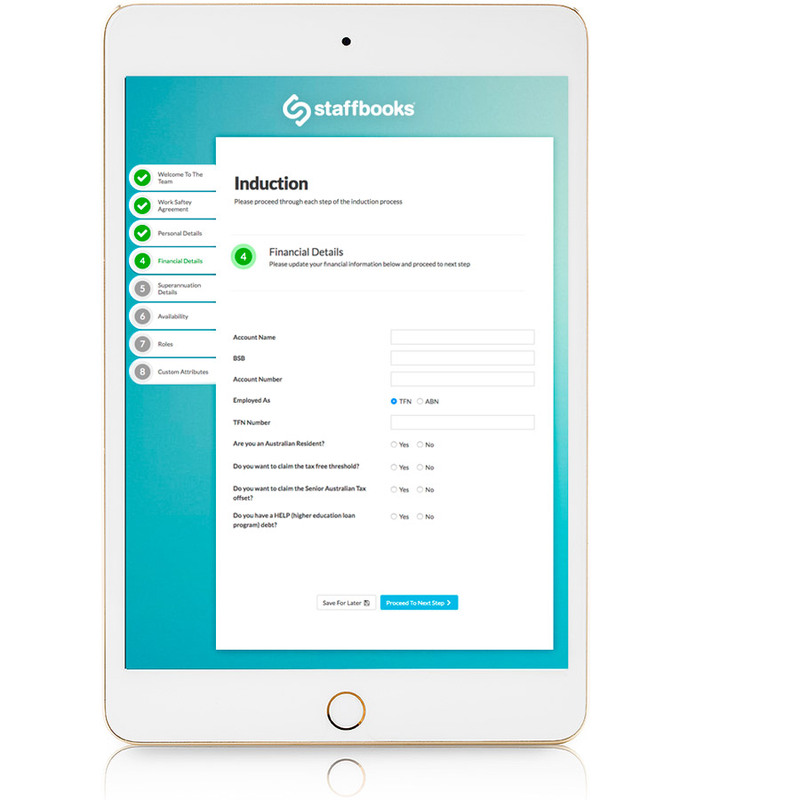 StaffBooks delivers a complete workforce management system for running your casual workforce. 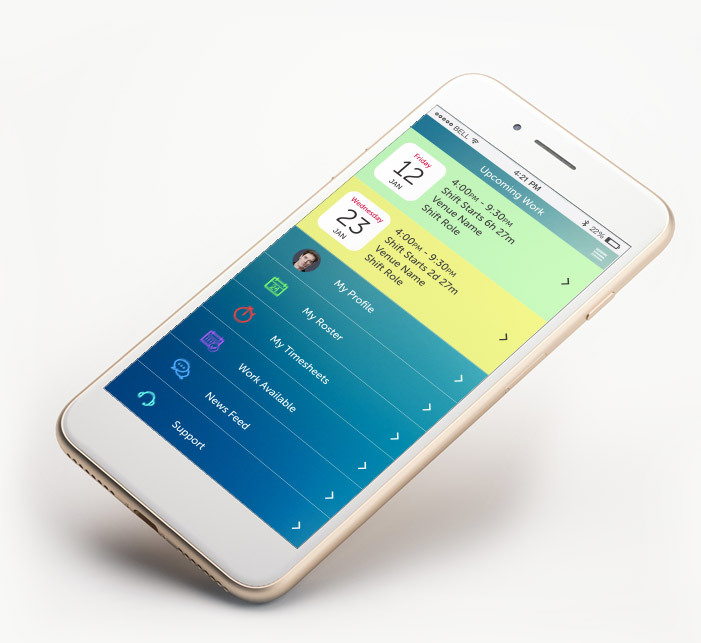 A feature rich system that covers everything from on-boarding employees through to pay role processing is complimented by an elegantly crafted smart phone app. The smart phone app is designed to effortlessly grab and collate all the data you need to wow your clients and facilitate pay run and client invoicing. 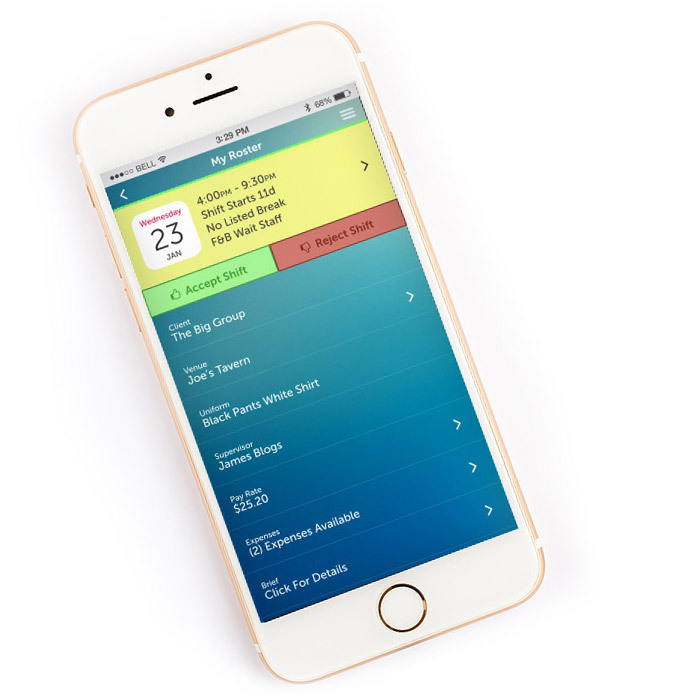 Build rosters for multiple locations and staff all from the one calendar system. StaffBooks delivers a complete workforce management system for running your casual workforce. 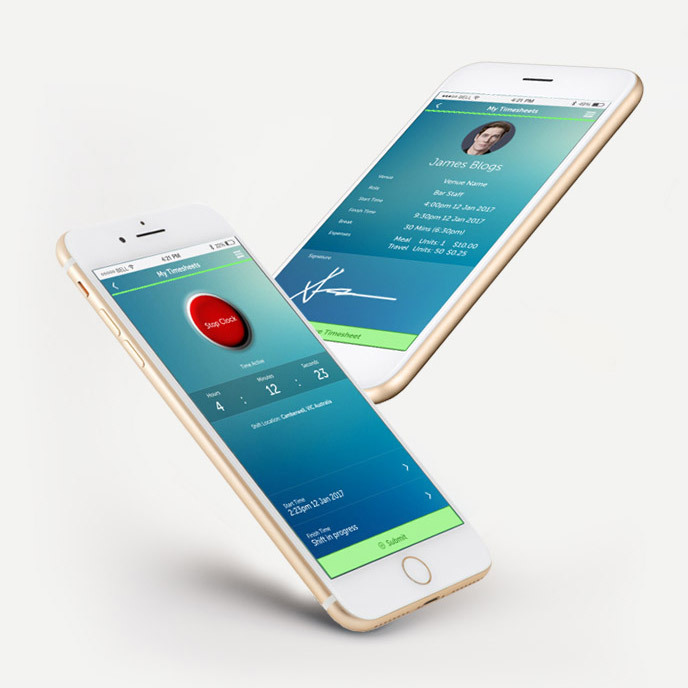 A feature rich system that covers everything from on-boarding employees through to payroll processing is complimented by an elegantly crafted smart phone app. The smart phone app is designed to effortlessly grab and collate all the data you need to wow your clients and facilitate pay run and client invoicing. Clock on - clock off and capture signatures from anywhere. Capture timesheet data from anywhere that gets automatically fed back to your payroll application such as Xero or MYOB. Staff can create there own timesheets infield that capture the exact time and GPS location that the timesheet was created. Digital signatures can be easily captured and attached to the timesheet. 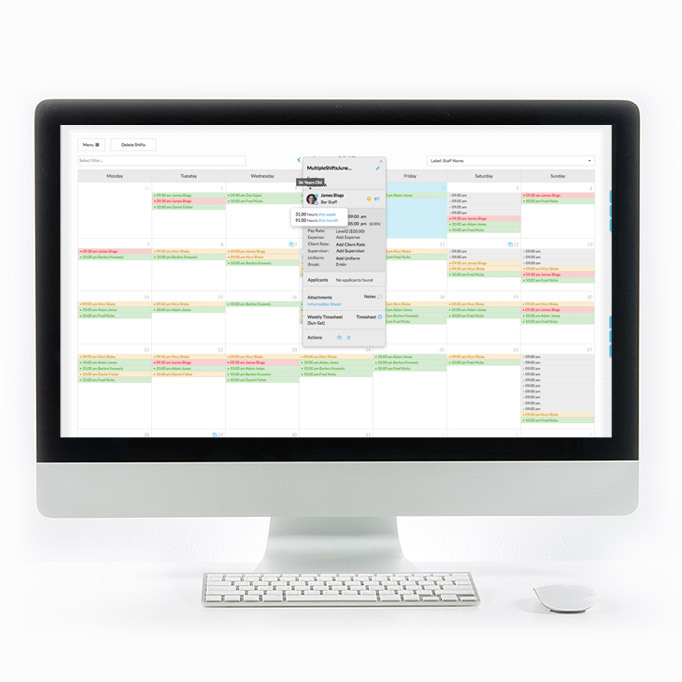 You can even set supervisors to process other staff members timesheets. 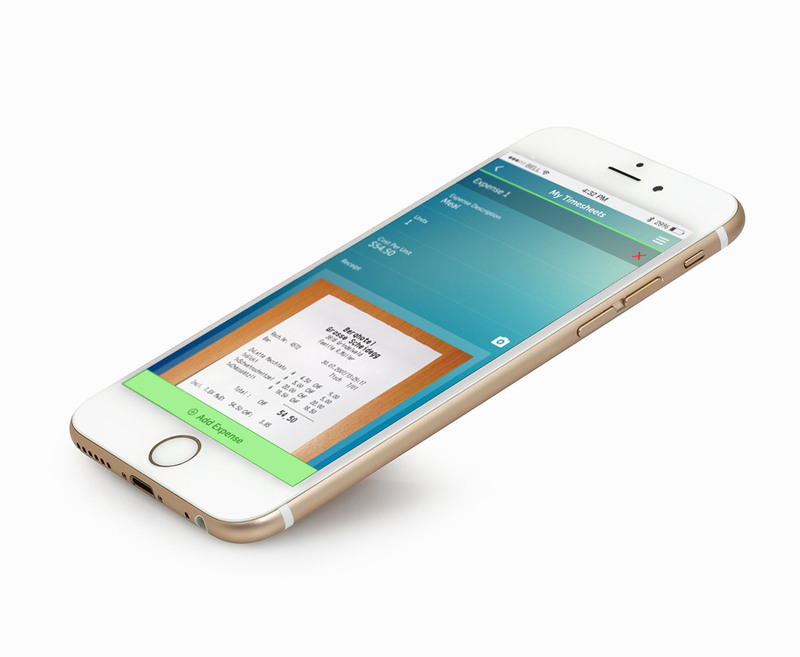 Capture purchase receipts infield and have them automatically attach to a timesheet. Staff are able to photograph a receipt, enter a unit cost and a description of the expense while they are submitting their timesheets. This information is conveniently kept together so that it can be processed easily when you process a pay run and pushed seamlessly into your favourite accounting program. Give your new employees the right first impression with your own custom built and branded fully digital on-boarding experience. You can completely tailor the induction experience to deliver documents, and compliance agreement along with capturing all the financial information required for payroll. We have only scratched the surface of what you can do with StaffBooks. To discover the potential of what StaffBooks can do for your business. Thanks for submitting your request for a demo of StaffBooks. Your request has been sent successfully and we will contact you shortly.